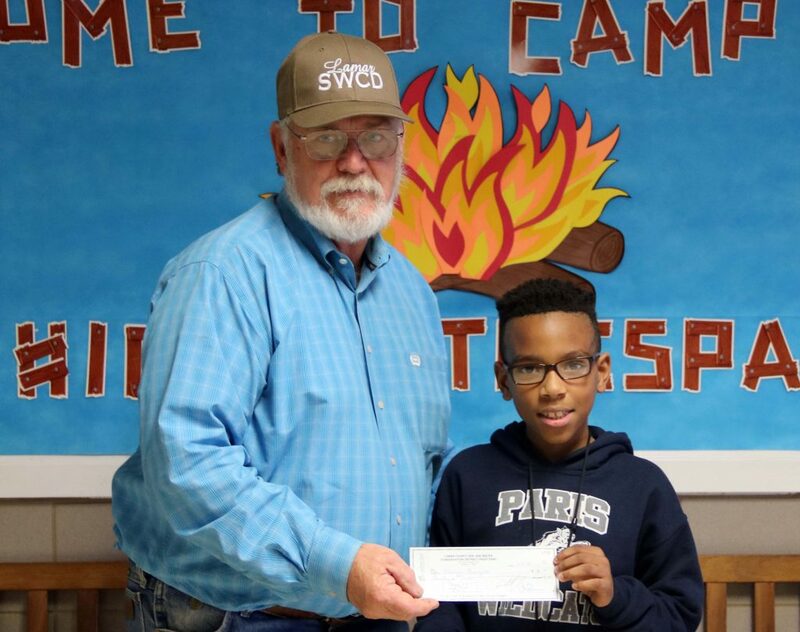 Paris ISD students swept the annual Lamar County Soil and Water Conservation District (LSWCD) Poster and Essay Contest for the fourth year in a row. 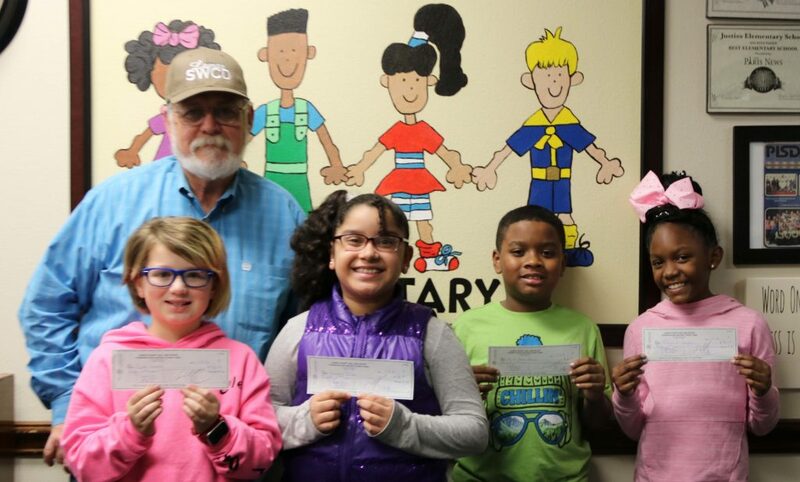 LSWCD Vice-President Mike Parsons presented checks to the contest winners. This year’s theme was Life in Soil: Dig Deeper. 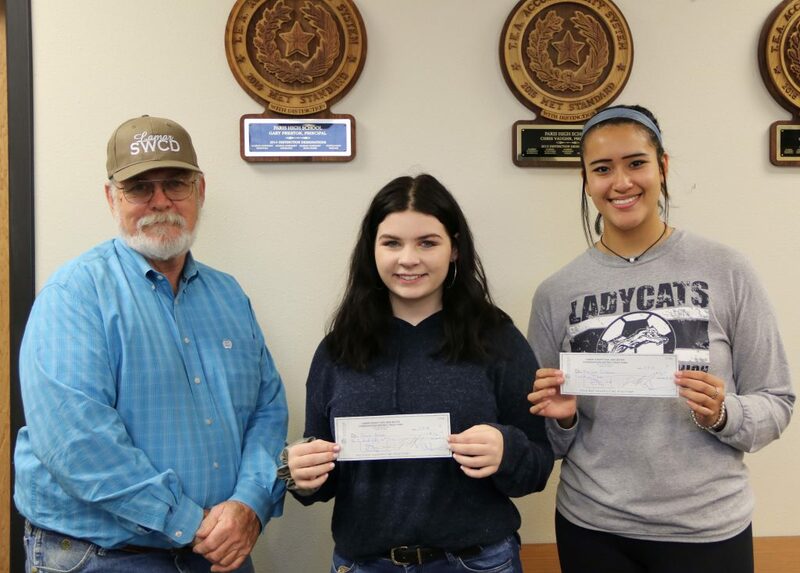 In the essay contest, Paris High School seniors Grace Hamm and Marjorie Calderon won 1st and 2nd place respectively (ages 14-18 division) and received $150 and $80. 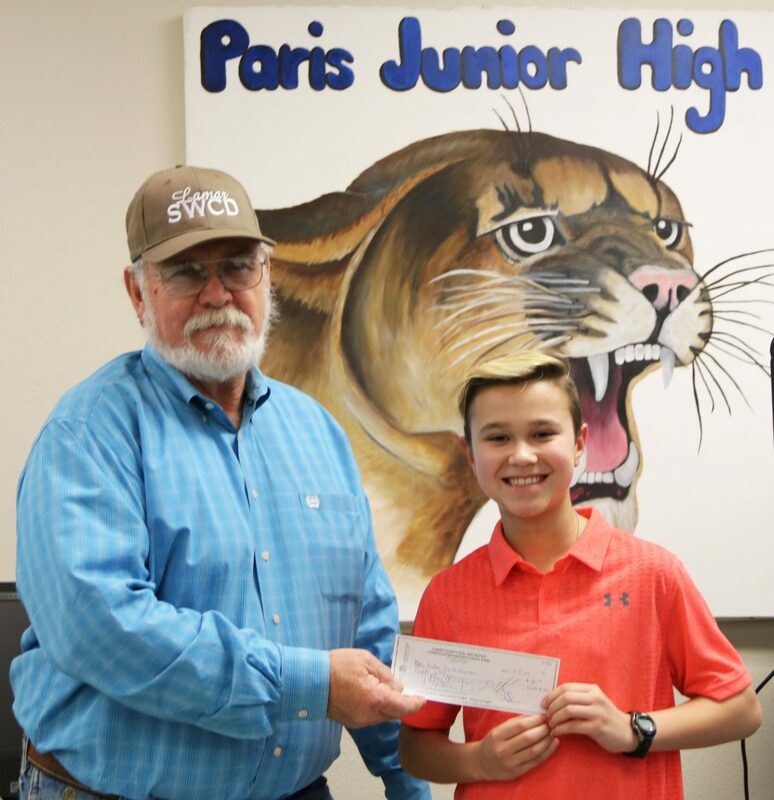 Paris Junior High School 7th grader Luke De la Garza won 1st place (13 and under division) and received $80. In the poster contest, Susana Silva, Cylee Wherley, and Tre’lyn Bailey (Justiss 4th graders) placed 1st, 2nd and 3rd in the 4th—6th-grade contest and received $80, $50, and $30 respectively. K’morh K. Douglas (Justiss 3rd grader), Shamar Burgess (Aikin 3rd grader), and Cairo Myles-Brown (Justiss 3rd grader) won 1st, 2nd, and 3rd place in the 1st—3rd-grade contest. They received $50, $30, and $20 respectively. All winning essays and posters have been submitted for judging at the area competition.